I would first we would like to offer my most hearty congratulations on your upcoming nuptials! This is such an exciting time, but it can also be a very stressful with so many things to do, and decisions to make. I would like to help simplify the process of finding the right wedding photographer by showing you the many ways in which I can provide the high level of care and concern that you deserve. When you offer the opportunity to work with you, I become your partner. 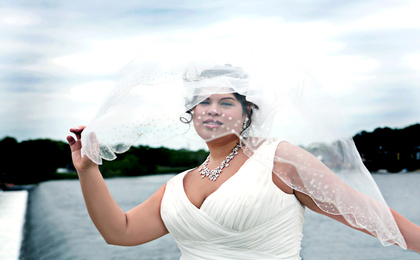 I will take good care of your wedding photographic needs. Rest assured, you are in good hands. 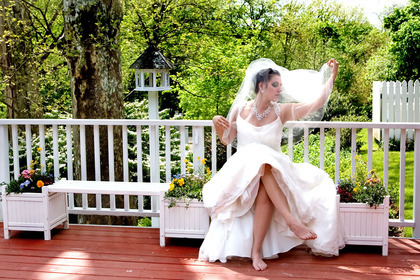 I am skilled at creating beautiful images that you will love to look at, and, as a female photographer, I am able to capture those more intimate bridal moments in a way that is comfortable for you. My goal is that each time you view your wedding photographs, you will relive anew the fun, excitement and love of that special day you spent as family and friends shared your union. On the day, I’ll capture the celebration of your wedding day and document it in storybook fashion. Posed photographs are done with the style and flare of a fashion photographer. We blend traditional, photojournalistic and artistic style that reflects you, the couple, your lifestyle, your energy, your relationships and your interests in pictures. I want you to “be there” to enjoy all the fun and excitement of your wedding day. I know that what my clients want are not photographs, but beautiful memories, captured and preserved forever. To this result, I am 100% committed. I would love to talk with you about your vision for your special day. You can reach me at 215-918-1281 or send me an e-mail to make an appointment. It is my pleasure to serve you, and take care of you in the events leading up to, on the day of, and after, your wedding day.